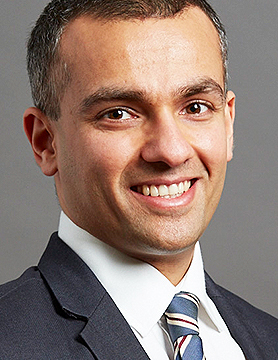 Rohitesh is a Global Macro Strategist and Head of Strategic alliances at Eurasia Group’s egX unit. As a strategist, he delivers keynote presentations and consulting projects to corporates that explain the broader implications and consequences of geopolitical developments. He combines a detailed understanding of sectors with a global view on key political changes to deliver action-oriented insights. Rohitesh also leads the development of joint product offerings that leverage the strengths of Eurasia Group and those of its partners. He is working with other professional services providers and technology companies to create the next-generation of political risk solutions. Prior to joining Eurasia Group, Rohitesh spent over a decade at KPMG, most recently as the global head of geopolitics. In this role, he was the firm’s primary subject matter expert on the impact of politics on business across the 150+ countries in which KPMG operates. His previous roles at the Big 4 firm included Global Head of Sustainability for the Mining Sector and Chief Resource Economist. Rohitesh is a trained economist and geographer from the University of Oxford, graduating as a Coca Cola Linacre scholar with a master’s degree in environmental change and management. He is a faculty member of the Africa Leadership Initiative, a board advisor to Self-Help Africa, and a founder of Becoming X, a charity promoting the stories of the world’s most iconic and inspirational people.